MetalPrices.com, a premier market intelligence service for the international metals industry, provides businesses, government agencies and individuals with reliable and accurate raw material pricing for metal products. 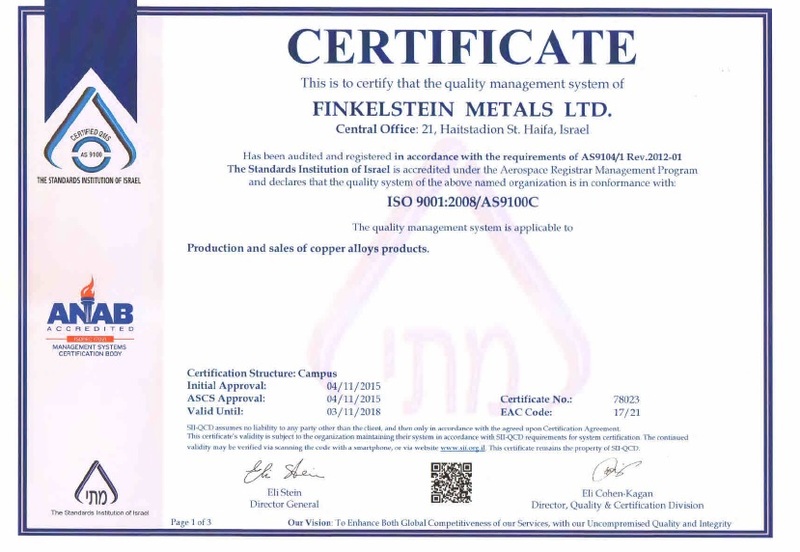 Finkelstein Metals’ Quality Management System has been certified in conformance with ISO 9001:2008/AS9100C. The quality system of Finkelstein Metals Ltd has been audited and registered in accordance with the requirements of AS9104/1 Rev. 2012-01. The Certification is applicable for the Company’s production and sales of copper alloys products in all its locations. Ms. Eitan Finkelstein, CEO of Finkelstein Metals stated “Finkelstein metals is proud with the achievement of the certification to AS9100C. The AS9100 certification reflects our commitment to meeting and exceeding the requirements and expectations of the most challenging applications as of Aerospace industry and aerospace related products. The AS9100 Certification enables our customers to utilize our Brass, Bronze, Aluminum Bronze and Phosphor Bronze bars and ingots in industries like Aerospace, Aviation and Defense to continue and grow our businesses together”. 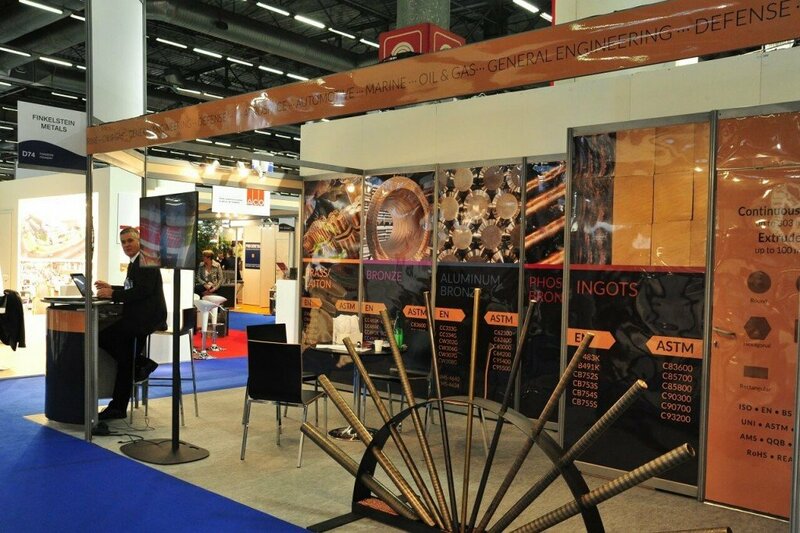 Finkelstein Metals is a world leading manufacturer of continuous cast and extruded copper alloys. Finkelstein Metals specializes in the production, sales and delivery of bronze, brass and aluminum bronze semi-finished products in a wide range of shapes and sizes. The company is fully committed to its customers worldwide and aims at continuing to provide high quality products and professional services. Finkelstein is presently building a new production plant that will significantly expand its production capacity, and will include state-of-the-art production facilities, large automated warehouses and customer service offices, all managed by an ERP system. The new plant is in its final construction stages just a short while before the best available casting technology will start arriving. This new facility will allow you to get even much larger portfolio of alloys, sizes and shapes, made to the highest quality standards and with great value for our customers. New copper alloys and other products.